Welcome to the rainbow garden. Your hostesses will be Ms.Lam Vien and Ms. Da Cuoi. to appear in movies, and that's saying a lot in Hollywood. North Carolina, to a tobacco farmer and his wife. at her brother-in-law's New York photo shop. in the front window of the shop. he could get Ava into the movies. Ava eventually got a screen test anyway. Ava was summoned to Hollywood. She signed a seven-year contract with MGM. a cheery young man dressed as Carmen Miranda. first for a date and finally, for her hand in marriage. The marriage lasted a little over a year. 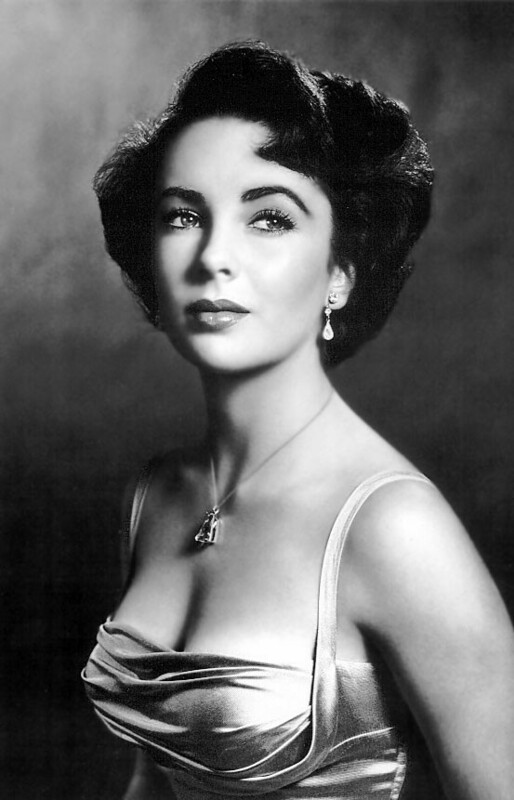 Elizabeth Taylor grew from a doll-faced child starlet to become one of the silver screen's most striking beauties, not to mention a compelling actress and one of the world's most famous movie stars. She has been a natural magnet for publicity throughout her life and is one of the most photographed women in history. Back at MGM and in Technicolor, a twelve-year-old Elizabeth Taylor managed a miraculous growth spurt to win the role of Velvet Brown, a young English girl in love with a horse, in NATIONAL VELVET (1944). and playing bit parts in insignificant movies. 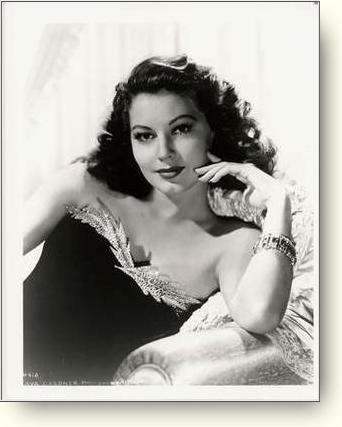 Her first big break was on loan to Universal in 1946 for The Killers. some attention and a shot at leading roles. like One Touch of Venus and Showboat. 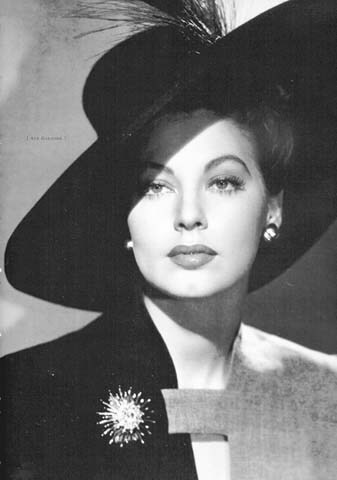 In 1948 Ava began having an affair with the the married Frank Sinatra. to a divorce and he and Ava married in November of 1951. 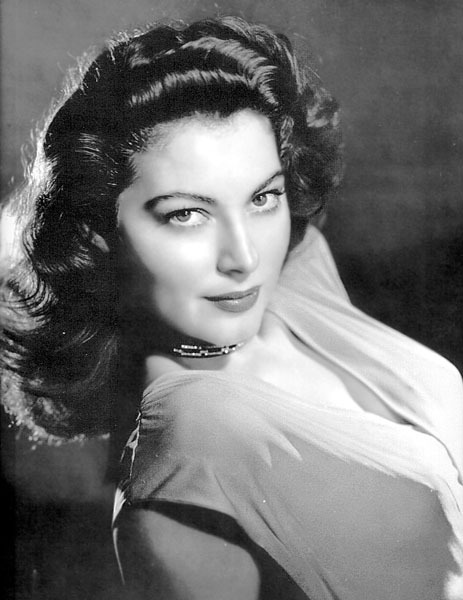 In 1953, John Ford helped Ava achieve her acting breakthrough. He cast her in Mogambo, a remake of the 1932 classic Red Dust. the same leading role that he had more that thirty years before. Grace Kelly filled out the third corner of the love triangle. The sassy, confident character was a perfect fit for Ava. She received an Oscar nomination for her performance. a screen goddess-but destined never to find personal happiness. including the Spanish matador Miguel Luis Dominguin. Gardners roles became less significant over time. Her last major film was The Night of the Iguana (1964). In 1949, Taylor joined a host of young MGM starlets (including June Allyson, Janet Leigh and Margaret O'Brien, with Taylor and Mary Astor at left) in the studio's Technicolor film adaptation of Louisa May Alcott's LITTLE WOMEN (1949). Although not released until 1951, George Stevens' A PLACE IN THE SUN, the film adaptation of Theodore Dreiser's novel An American Tragedy, was filmed in 1949 when Taylor was still seventeen years old, and marked her first adult role. Cast opposite stage acting veteran Montgomery Clift (who was twelve years her senior), Taylor and her leading man were very favorably photographed in this film and made quite a handsome pair. But more than just showing off her pretty face, A PLACE IN THE SUN became an acting landmark in Taylor's career as her best performance since NATIONAL VELVET. And the film itself was also a critical success, earning nominations for nine Academy Awards including Best Picture . 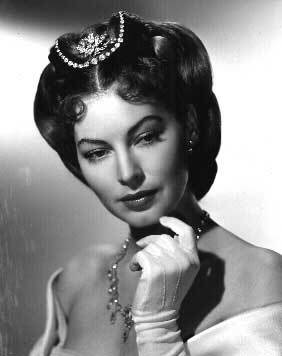 At a mature eighteen years-old, Taylor's movie star life and real life coincided when, shortly before her own marriage to Nicky Hilton, she starred as Spencer Tracy's bride-to-be daughter Kay Banks in FATHER OF THE BRIDE (1950). Back in Technicolor and teamed with Van Johnson, Taylor plays carefree Helen Ellswirth in THE LAST TIME I SAW PARIS (1954), a post-war soaper about young love on the rocks. Giant, an adaptation of Edna Ferber's epic about a young bride from Kentucky adjusting to life in Texas starred Taylor, Rock Hudson and James Dean (1956).Nominated for ten Oscars including Best Picture, GIANT is a multi-generational romance which also takes on issues of racial prejudice, with notable supporting performances from Mercedes McCambridge, Chill Wills and screen new-comer Caroll Baker. 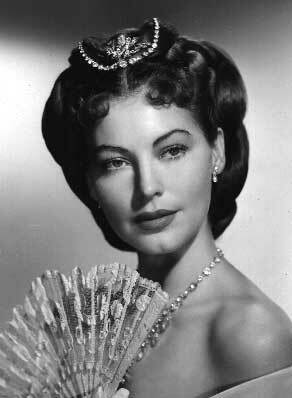 and shortly before her death completed an autobiography, "Ava,"
which was published posthumously in 1990. "voted" The Most Beautiful Woman in the World. Once again cast opposite Montgomery Clift, in RAINTREE COUNTY (1957) Taylor plays a Southern belle who marries a Yankee from Indiana just before the Civil War and is tormented, not only by the political conflicts surrounding her, but by something in her past which she cannot explain. 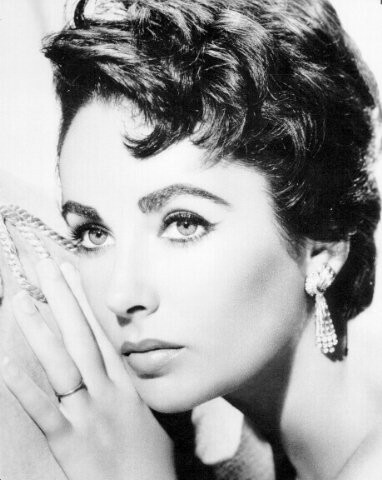 By 1958 Elizabeth had outgrown pretty-face young adult roles and CAT ON A HOT TIN ROOF capitalized not only on her acting talents and womanly good looks, but also her impressive southern accent, first demonstrated in RAINTREE COUNTY. Co-starring Paul Newman and also featuring Burl Ives, Jack Carson and Judith Anderson, this film adaptation of Tennessee Williams' popular stage play earned six Oscar nominations, including Elizabeth's second in the Best Actress Oscar category. Another Tennessee Williams adaptation, "Suddenly Last Summer" ,(1959) starred Katharine Hepburn, Montgomery Clift and Elizabeth Taylor. 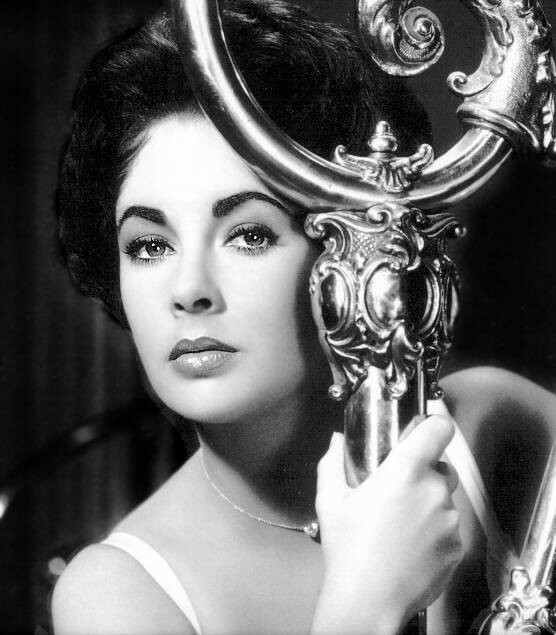 Elizabeth finally won her first Best Actress Oscar in 1960 for her performance as high-class call girl Gloria Wandrous in BUTTERFIELD 8. One of the most expensive films ever made and originally running at six hours before being cut to a little over four for release, the epic CLEOPATRA (1963) was a box office disaster, yet managed eight Oscar nominations including Best Picture, winning four technical awards. In 1966 Taylor earned her second Best Actress Oscar for her role as a middle-aged, alcoholic house wife in the film adaptation of Edward Albee's WHO'S AFRAID OF VIRGINIA WOOLF? Co-starring Richard Burton, George Segal and Sandy Dennis. to get to the gallery where the 8 ladies famous pictures are kept . Have a good time and don't forget to sign our guestbook.